One morning while reviewing a vSphere 5.1 cluster at a customer location, I noticed one VM with the following message “Configuration Issues. Virtual machine disks consolidation is needed”. A few days before, a snapshot was made as part of a regular update process. At the end of the day the snapshot was deleted. Apparently, something went wrong. 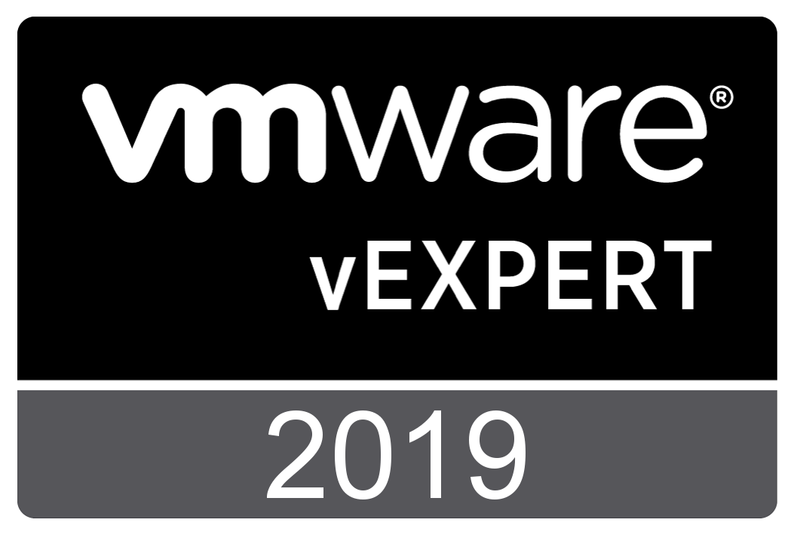 VMware KB 2003638 “Consolidating snapshots in vSphere 5.x” details the backgrounds for this message and also presents a solution for resolving this issue. Right-click the virtual machine and from the menu, choose Snapshot > Consolidate. So far so good, but some moments later, a new message was received and the consolidation task was ended. No panic, another KB will help you; KB 2013520 “Committing or creating snapshots fail with the error: the virtual disk is either corrupted or not a supported format”. 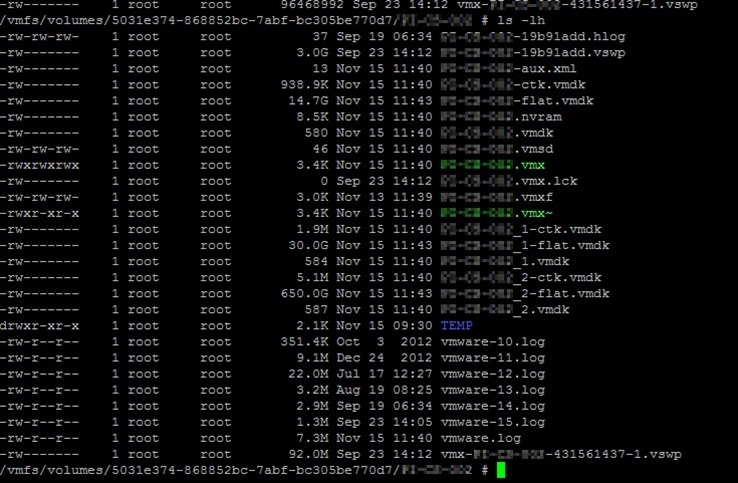 Time to check the vmware.log file of the virtual machine. As the KB article already suggest, the tracking files (CTK files) are not accessible (Could not open/create change tracking file). The presented resolution is to create a temporary folder, move the .CTK files to the newly created folder and try to consolidate the snapshots. The first step is to SSH to the console of the ESXi host (in most situations, you will need to relax the security settings while working on this issue). Select the ESXi host, Configuration, Software, Security Profile, under Services, start the SSH service). As a result, every 3 seconds, you will see the top 10 files which are being updated during the consolidation process. As soon as the consolidation process has finished, it is time to delete the remaining snapshot(s). As soon as the task “Remove all snapshots” has finished, check the folder. If everything went well, all snapshot files must be gone. Also notice that new .CTK files have been created. The files in the TEMP folder can be deleted now. See Figure 7. Conclusion. First of all, do not panic. Consolidation and deleting snapshots can take quite some time. Wait patiently and watch the progress. During the whole process, the affected VM (an Exchange server) was up and running without any interruption of service. As always, I thank you for reading and I welcome your comments. This entry was posted on Monday, December 2nd, 2013 at 08:01 and is filed under Troubleshooting. You can follow any responses to this entry through the RSS 2.0 feed. You can leave a response, or trackback from your own site. I thought that Exchange Server is not supported with Hypervisor snapshot technology by MS ? 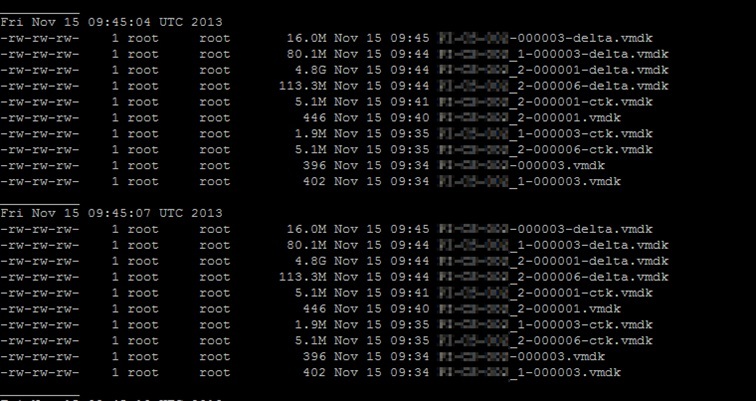 or is this just the failed VADP backup snapshot remnants ? In this case, the VMware snapshot was made, before installing Microsoft security patches. Reboot required for this task ? Reboot is not required. However, deleting snapshots can impact VM performance. But your procedure worked as a charm!